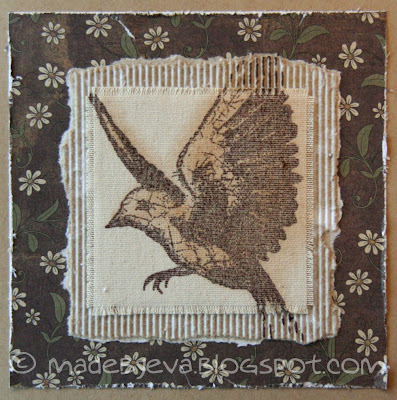 I made the lovely Tim Holtz stamp the focal point of this simple card by stamping it on some Stickyback Canvas and matting it with torn, corrugated cardboard. The DP is one of those dark ones that I find tricky to use, but it seemed to work well here. There's no sentiment, so this card can work for any occation!